Straight-ahead speed. Quickness. Agility. Balance. These are all skills that you need to be able to play better softball. If we can make better athletes, we can make better softball players. Softball is a game of pure acceleration. 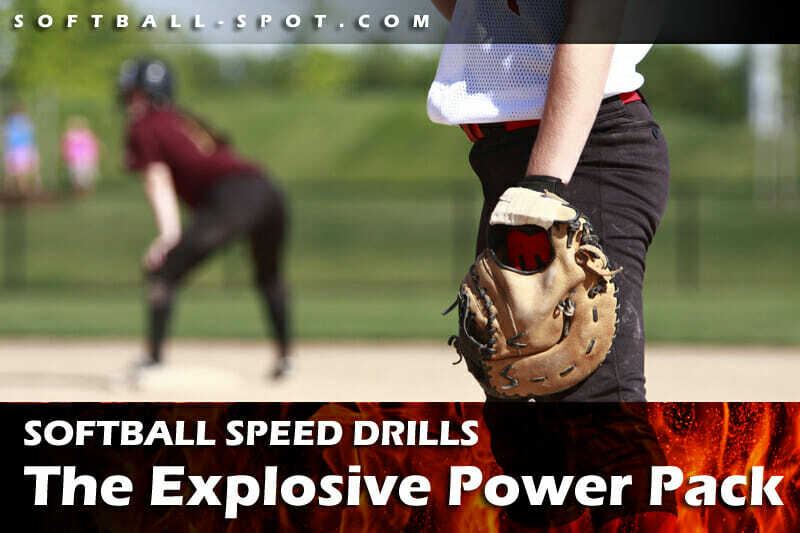 We’ve put together a list of some of our favorite speed drills that will condition your players for speed and power on their runs – whether they are running the bases, or going after that ball. Softball Plyometric Speed Drills for Explosive Power! We demonstrate some incredible softball plyometric drills that will greatly improve your speed and power, including the tuck jump, hitch hops and bounding. In this drill, gravity helps to pull the player forward for explosive acceleration . This a great drill for creating reactive, explosive sprints and developing speed on the base paths. In this softball agility and speed drill, we work on joint stability and balance. We need this good balance and stability for softball explosion. Control the body. That’s how we can control the bat and control the ball – by having control of the body first. Will you be trying these speed drills with your players? Do you have a favorite “go-to” speed drill you always use with your players? Feel free to share below! And don’t forget to Like Us on Facebook, where we share more great ideas and suggestions for your practice plan! You can also Follow Us on Twitter and Hangout with us at Google+!